Villa Giulia was built in 1847 on the wishes of Bernardino Branca, the inventor of the well-known liqueur Fernet. Bernardino’s son dedicated the residence to his wife Giulia and started works to embellish and expand it. He attempted to extend the property in the most charming direction, that is towards the lake. However, in 1879 the structure destructively collapsed taking with it, among other things, a majestic flight of steps whose ruins still rise to the surface during dry periods. To prevent the incident from being repeated, precautionary excavations on the bottom of the lake were performed, which allowed reaching a more solid and compact layer of rock. In the meantime, Cavalier Branca entrusted the project to renovate the villa to architect Giuseppe Pirovano from Milan. He initially had the majestic main gate built, followed by the dock with a terrace and pergola, a garden and several artificial grottos. He also had a chalet built close to the gate which was first used as a porter’s lodge and was later transformed into a billiards room. The garden was recreated based on English style. Lastly, the villa where Bernardino Branca lived was renovated. The façade was extended by 10 metres towards the lake and was enhanced with loggias and columns on all storeys to culminate into a large circular terrace. This elegance is in harsh contrast with the façade facing the road, which is characterised by austere simplicity. 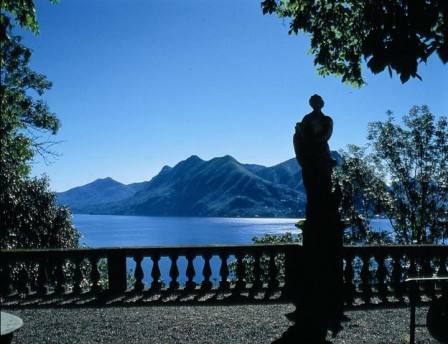 In 1904, Giulia, who was a widow and had married her second husband Count Melzi d'Eril, decided to further expand the villa and also introduced Liberty decorations in the rooms inside, according to the fashion of the times. Some 30 years later, Villa Giulia was purchased by Azienda Autonoma di Cura, Soggiorno e Turismo with the idea of giving Pallanza a municipal casino and a more detailed Casa di ritrovo del forestiero (tourist office). Thus Villa Giulia became the Kursaal, and was expanded in 1955 with two rather large rooms. The first was in the basement and was therefore accessible from the garden, while the second was on the first floor and hosted conferences, exhibits and concerts. The dock was also sacrificed 4 years later to ensure more harmonious use with existing needs. This intervention also involved destroying the artificial grottos and made the dock unusable when the lake was high. 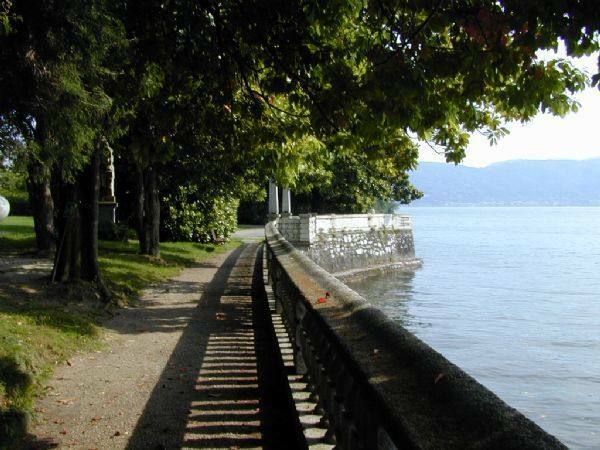 In 1987, the Region of Piedmont transferred the property to the Municipality of Verbania. 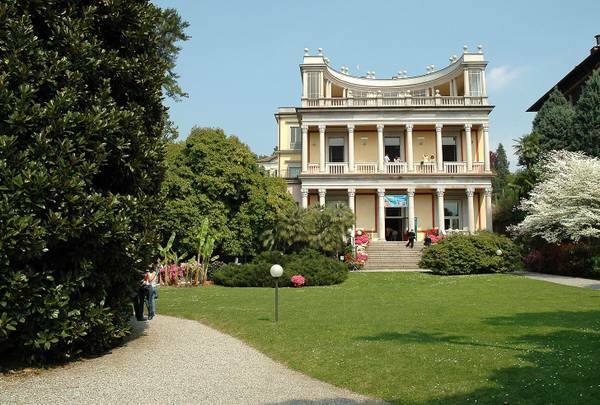 After recent renovations, Villa Giulia reopened to the public 24 May 2009 with an exhibit called Flower Power, the first stage of the new 3-year planning project by CRAA Centro Ricerca Arte Attuale (Centre for Research on Current Art). 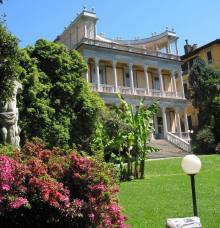 Villa Giulia is also used for conventions, concerts and cultural events while the garden is a public park.